At the heart of the Artist Series lies a unique power amplifier design that harnesses the tonal qualities of the revered 6L6 valve. By carefully optimising the key power amplifier parameters of the Artist Series, the Blackstar design team has created an amplifier which has the outstanding dynamics normally associated with a USA 6L6 design, whilst adding the chime and shimmer of a classic British Class A amplifier. 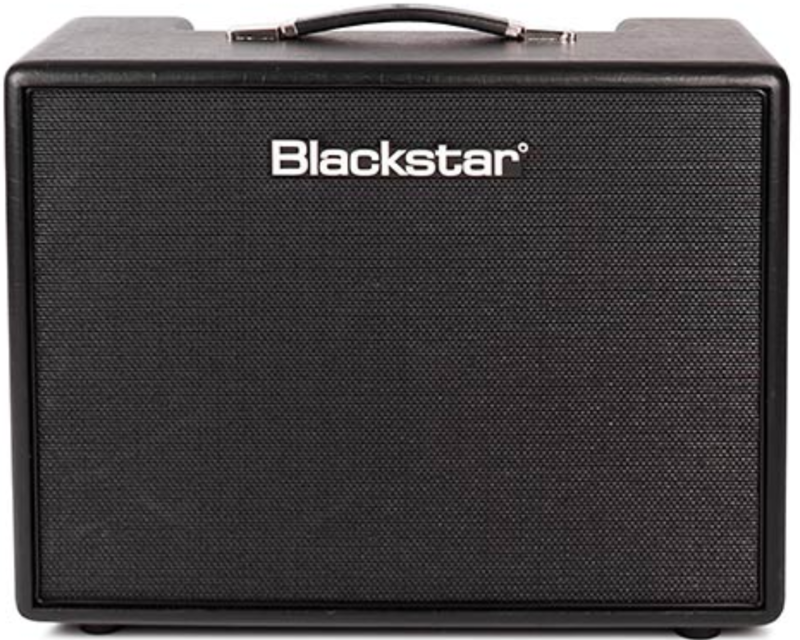 As with all Blackstar products, reliability is paramount. The Artist Series has been subject to countless hours of endurance testing, both in the laboratory and in live performance meaning you can rely on the Artist Series night after night in the most demanding gig environments. This flexibility, tone and quality is delivered with a visual elegance worthy of the world’s greatest stages and performers. From the metallic thread in the classic paper fret to the embossed Blackstar detail on the luxury leather carrying strap, nothing has been left to chance in delivering the Artist Series - The New Classic.